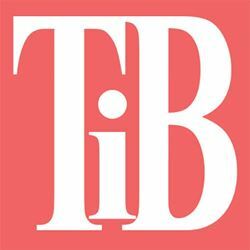 Cut your foam paper 12" x 5" and roll it into a long cone. Add glue all along the edge and let it dry. Cut another piece of foam paper into a circle about 7" in diameter. Glue one end of your cone to the center of your circle. 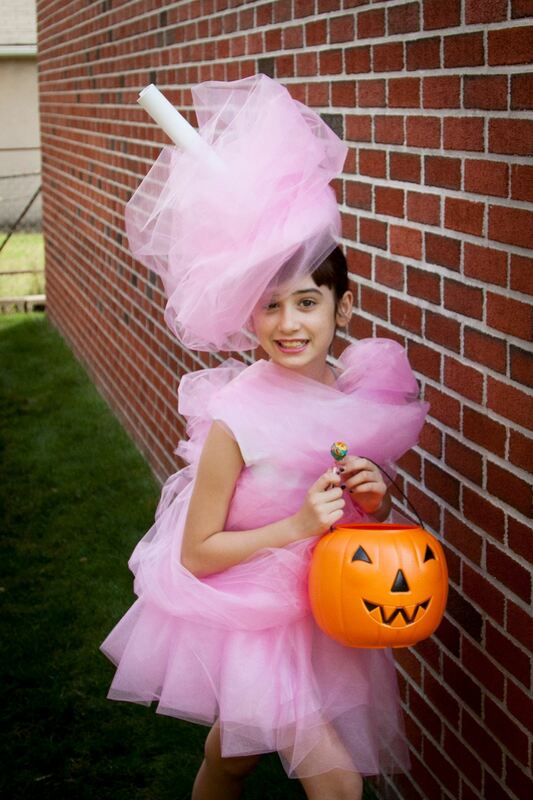 Take a couple yards of your tulle and wrap them around your cone and let them fluff out to look like cotton candy. As you do this use Aleene’s Fabric Fusion to tack it to the cone and to itself to hold it in place. Glue your headband to the bottom of the foam paper. Cut your t-shirt into a tank by cutting off the sleeves and the neck. Use 2 yards of your tulle, wrapping it loosely around the top of the t-shirt using Aleene’s Fabric Fusion to hold it in place along the shoulders. 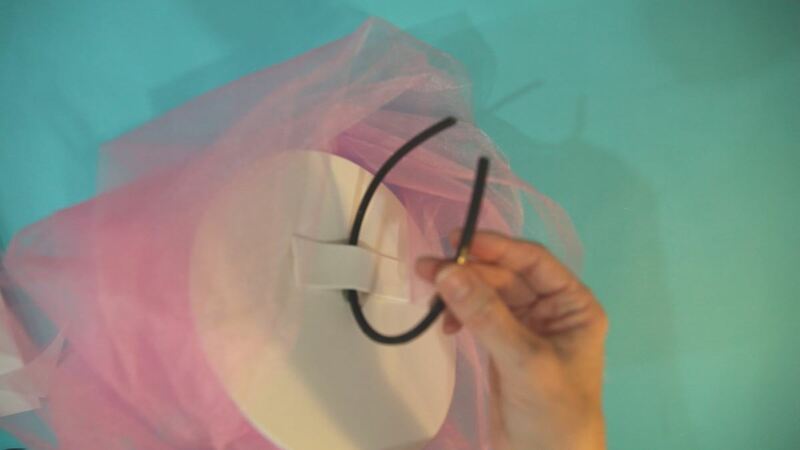 Using about 5 or 6 yards keep your tulle folded in half (the way it came off the bolt) and fold it again to make it shorter. Using your needle and thread tack your thread at one end of your folded fabric and make big running stitches all along the open edge. When you get to the other end slowly and carefully pull your thread to gather your skirt. 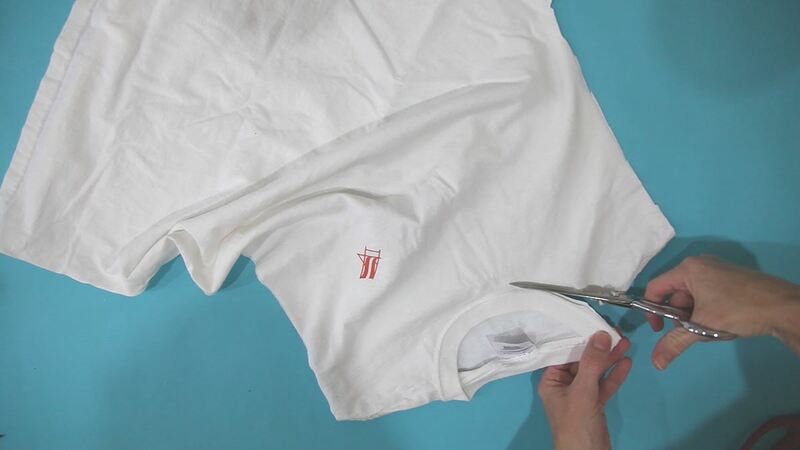 Measure it loosely around your t-shirt and when you have it as long as you need it to fit around your t-shirt (and you can still get in and out of it without it ripping) tie off your thread end. 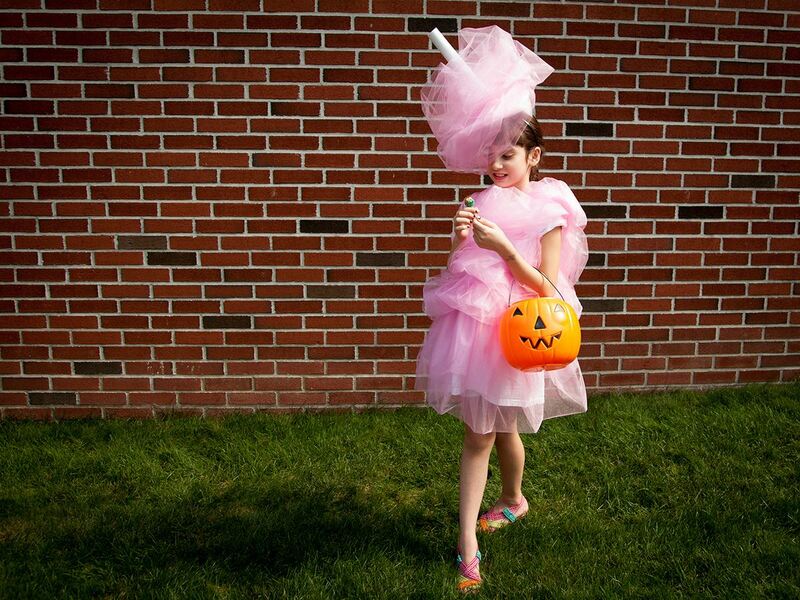 Use your Aleene’s Fabric Fusion to glue your tulle skirt to your t-shirt. Let dry. 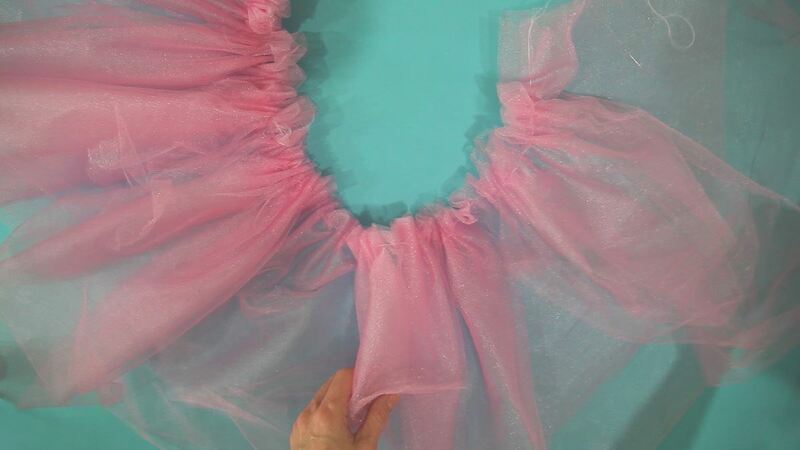 Add the remainder of your tulle around the middle of your t-shirt to fill in and make nice fluffy cotton candy.